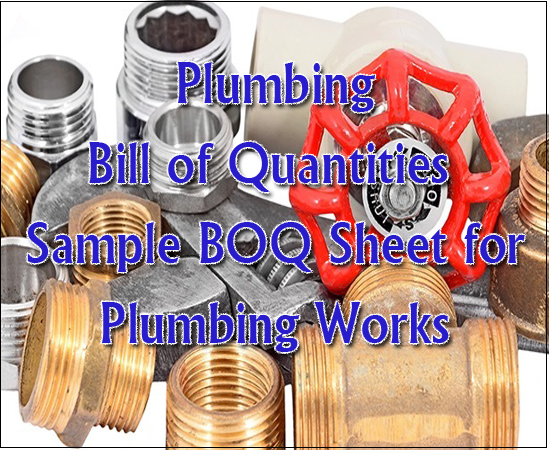 Download plumbing bill of quantities (BOQ), an excel sheet for all plumbing work BOQ - free download. 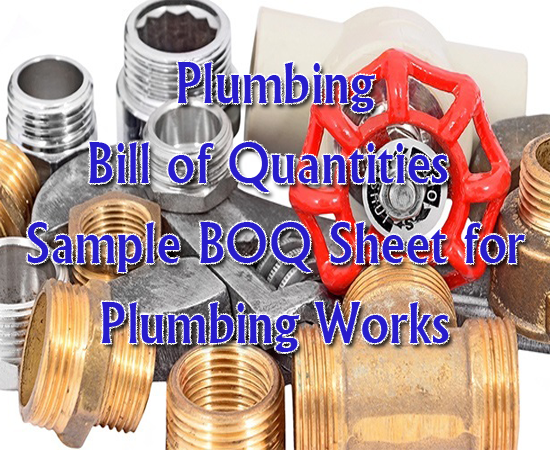 Bill of quantities for plumbing material supply, installation, testing & commissioning including all necessary sundries complete. 1. The Price Schedule must provide a detailed cost breakdown for each item. 3. All prices/rates quoted must be exclusive of all taxes. 4. In addition to the hard copy, provide also the information on diskette.